MY WIFI CRASHED AGAIN; I KNOW YOU'RE DEPRESSED... 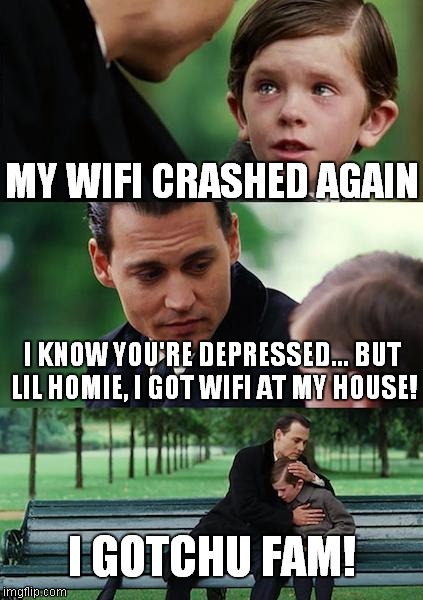 BUT LIL HOMIE, I GOT WIFI AT MY HOUSE! I GOTCHU FAM!